The comprehensive strategic partnership between China and Venezuela will step up to a new level and open up new prospects, a Chinese Ministry of Foreign Affairs official said Thursday. 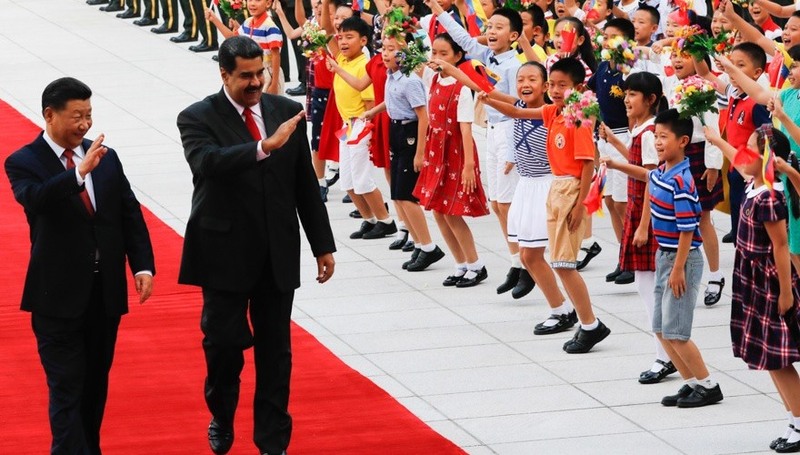 Zhao Bentang, Director-General of the Department of Latin American and Caribbean Affairs of the Ministry of Foreign Affairs, said that during Venezuelan President Nicolas Maduro’s current visit, a number of significant cooperation agreements will be signed. Zhao said that the re-election of President Maduro in May indicates that Venezuela has entered a new stage of seeking stability and promoting development. The Venezuelan government has recently launched economic and financial reforms, which have received good public responses. “What I want to stress is Venezuela’s steady development agrees with the interests of all sides. China hopes Venezuelan government and the people can handle their domestic affairs well within the framework of laws,” said Zhao. Zhao also noted Venezuela is a comprehensive strategic partner of China and also one of China’s important trade and economic cooperation partners; no matter how the situation changes, China’s friendly policy towards Venezuela will not change. “President Maduro’s visit to China will be conducive to consolidating bilateral political mutual trust, promoting pragmatic cooperation between the two countries, propelling bilateral ties to achieve more development, and helping Venezuela to restore stability and development,” said Zhao. Maduro started his visit to China Thursday and Chinese President Xi Jinping held talks with him in Beijing Friday, agreeing to promote bilateral comprehensive strategic partnership to a higher level.